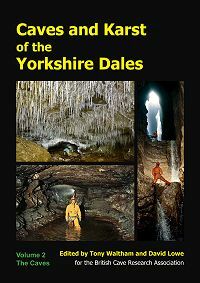 The two volumes of this new book present a comprehensive overview of all aspects of the caves and karst of the Yorkshire Dales. They form the long-awaited successor to the 1974 publication Limestones and Caves of Northwest England, but provide a much more comprehensive treatment because of the many cave discoveries in the last 40 years and the new information that is available on the underground and surface features. The chapters, written by specialists who really know the area, include topics on limestone geology, karst geomorphology, cave development, karst hydrogeology, cave chronology, subterranean biology, bats, palaeontology and archaeology, and then of the caves and features within each individual hill or dale across the karst. The book is essential reading for every serious caver who enjoys the caves of the Yorkshire Dales. Cave scientists, too, will appreciate this book because it is more than just a statement on the karst landscapes and the caves beneath. It brings together many aspects of the natural environment and the evolution of the Yorkshire Dales and provides insights into the landscape evolution in northern England - indeed, one chapter gives the first comprehensive review of the glacial history of the Dales. The book will therefore be of interest to professionals who otherwise might have only marginal interest in probably the finest group of caves within Britain. Uranium-series dating of stalagmites, and carbon-dating of bones mean that the caves now provide the basis for a uniquely-detailed chronological framework that extends through much of the Quaternary period.